Dnyaneshwari is a commentary on the Bhagavad Gita in Marathi by Saint Dnyaneshwar. It is one of the greatest commentaries on Bhagavad Gita and Saint Dnyaneshwar was only sixteen when he wrote it. Here is a look at some of the important facts of Dnyaneshwari. Written in the 13th century, Dnyaneshwari brought the Bhagavad Gita to the common man, which until then was the monopoly of Sanskrit scholars. It is written in the verse form. Saint Dnyaneshwar has used numerous similes, day-to-day incidents and examples from nature to convey the meaning of Gita to common man. The commentary is especially noted for its discussion on Kundalini yoga. Due to changes in the Marathi language over the last few centuries the text is not easily understandable, but many prose translations are available. While writing commentary on Gita Dnyaneshwar Maharaj has used a lot of examples and similes from day to day life and from nature to make the meaning very clear to a common reader. It was composed in 1290 AD. 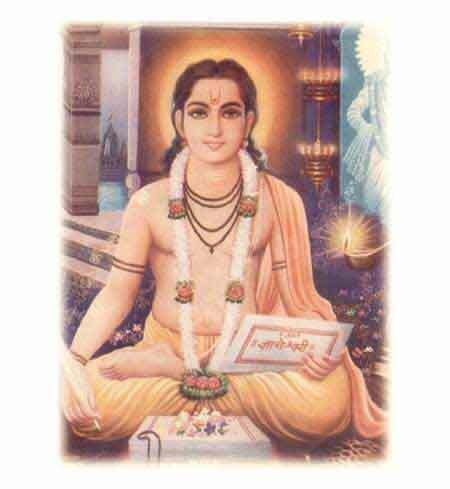 Saint Dnyaneshwar was only 16 when he composed the text. He attained Samadhi at a young age of 23. There are 9032 verse or ovis in Dnyaneshwari. It brings Vedanta and other spiritual philosophies to common man. It explains the various paths a person can take for spiritual progress and ultimate liberation. An excellent spiritual seekers guide, it discusses in detail four different paths viz. The path of Knowledge, the path of action, the path of yoga and the path of devotion to choose from depending upon the psychological make up of the seeker. It presents the cream of Vedanta philosophy, Sankhya philosophy, Kundalini yoga and the practice of devotion. While Gita is difficult to understand to a common man, Saint Dnyaneshwar has written Dnyaneshwari (Original name Bhavartha Dipika) specifically for common man and therefore the text is easy to understand.